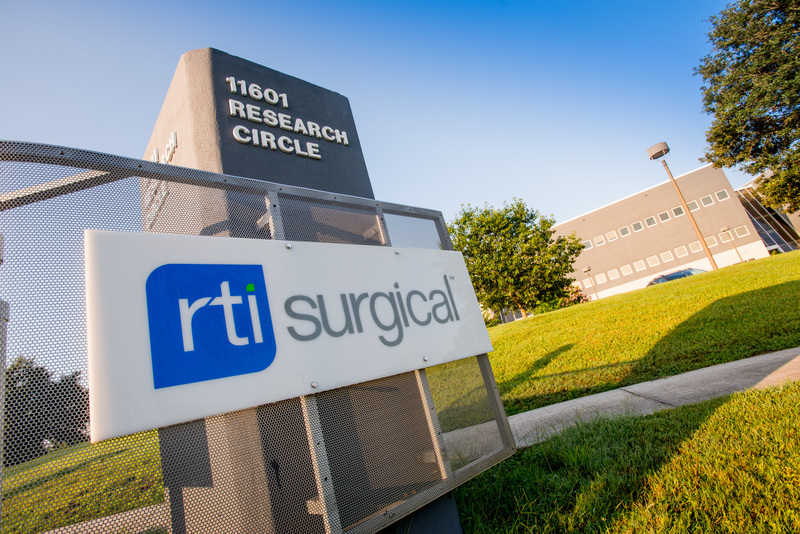 RTI Surgical® Enrolls First Patient in FORTE Clinical Study of Fortilink® Interbody Fusion Device with TETRAfuse® 3D Technology - RTI Surgical Holdings, Inc.
Deerfield, Ill., March 20, 2019 – RTI Surgical Holdings, Inc. (NASDAQ: RTIX), a global surgical implant company, today announced it enrolled the first patient in its Clinical Evaluation of Fortilink® Interbody Fusion Device with TETRAfuse®3D Technology in Subjects with Degenerative Disc Disease (FORTE) study. FORTE is a prospective, multicenter post-market evaluation of the safety and performance of the Fortilink-C, -TS, and -L Interbody Fusion (IBF) Systems with TETRAfuse 3D Technology, which recently won a 2018 Orthopedics This Week Spine Technology Award. The primary objective of the study is to assess radiographic evidence of cervical and lumbar fusion evaluated by an independent core laboratory at 3-months post-surgery (Fortilink-C IBF System) or 6-months post-surgery (Fortilink-TS and Fortilink-L IBF Systems).